We have had a very eventful Fall. In this report we will attempt to give you an idea of all that God allowed us to do during the months since our last report. Dr. Brandenburg with Howard Cooper. Brother Cooper was the Youth Director when I was a teenager. He is 90 years old and still servicing. I was honored and thrilled to preach at my home church, Troy Baptist Temple in Troy, Ohio. This is the church where I was reared, baptized, called to preach, and preached my first sermon. It was there where I learned the Bible, started working on a bus route, and learned to be a soulwinner. 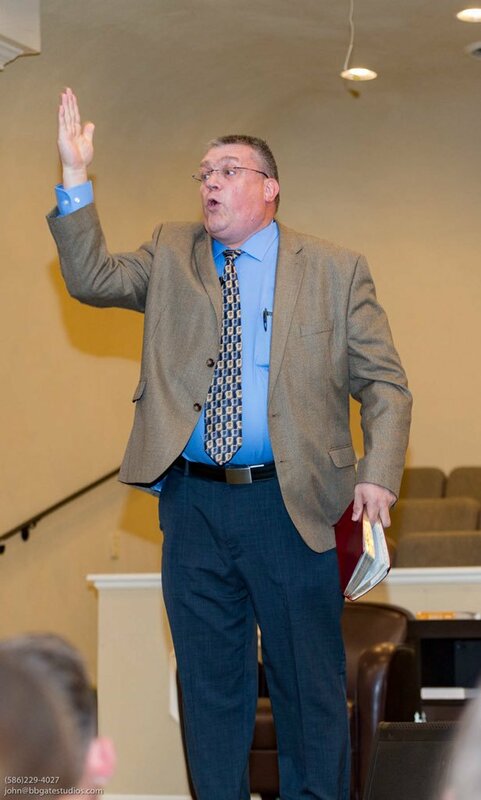 Thank God for my pastor, Dr. Thomas Duff (here is a link to the “Heroes of My Faith” page on Dr. Duff - ttps://www.pulpitaflame.com/duff) I am also thankful for Pastor David Thomasson who is continuing the long history of this church being a strong independent, soulwinning, bus running, missions minded, Baptist church. On September 19 I travelled through Lexington, Kentucky and stopped at the Clays Mill Baptist Church for the National Church Growth Conference. Clays Mill Baptist Church is a spiritual oasis in this increasingly secular world. What a joy to see this great church that still has strong preaching, high separation standards, aggressive soulwinning and bus ministry, evangelistic, revival song services and special music. In an age when those who promote the Emergent Church model say that “old-time” religion does not work in this age, Clays Mill Baptist Church is growing, adding bus routes, and building a totally new 80 acre campus for their church. Soulwinning and Bus Ministry still works…if you work it! 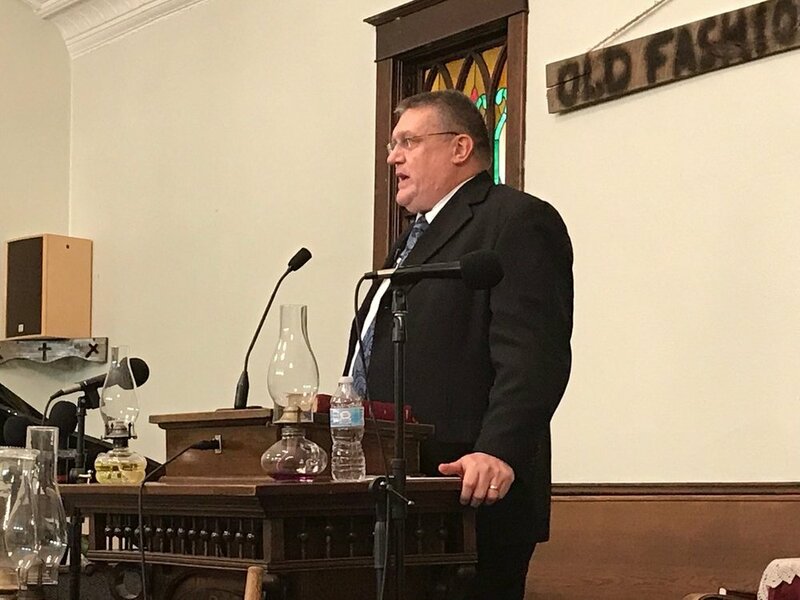 Thank you Pastor Jeff Fugate for your example and passion of how the work of ministry should be done with compassion, urgency, and excellence. On September 21 I arrived in Goose Creek, South Carolina to be with my good friend Pastor Eric Tharp and the Trident Baptist Church. During my three weeks with this good church we were able to accomplish much for the ministry of Trident Baptist Church. I was able to help him train workers, encourage the people, set up a new church website, work on the sound system, and set up a video system into the nurseries. 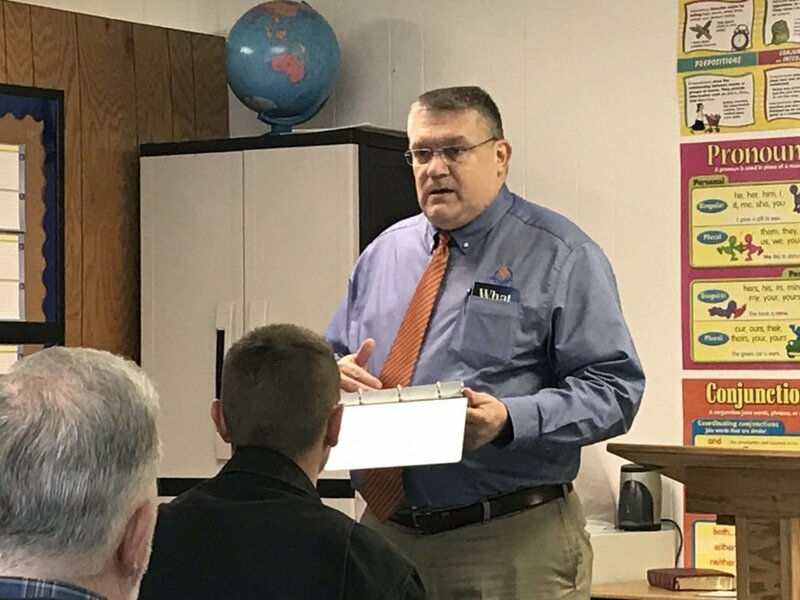 I was able to teach on soulwinning during the soulwinning meetings, taught Sunday School, preached in several services, travelled with the men of the church to a “Men 4 Christ” meeting at Gannt Road Baptist Church. I am thankful for Pastor Tharp and his passion for ministry. 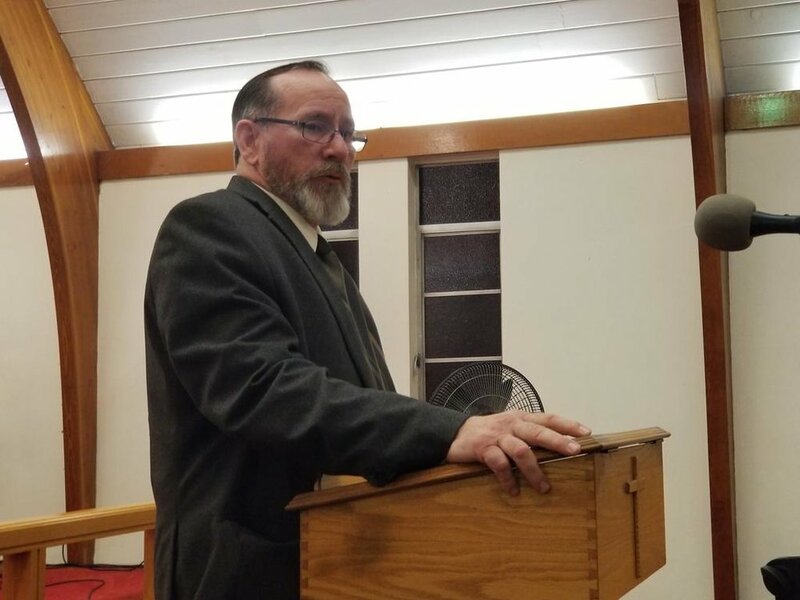 He became pastor of Trident Baptist Church in May of this year and under his leadership the church has a new focus and is making great strides in reviving that good work. They have already seen growth in their attendance and held their first “Faith Promise Missions Conference.” Ministry is so much more than just preaching! I am thankful for the lifetime of varied ministry experiences that God has given me which has given me many tools to help local churches. We purchased a 1996 Mini Winnie 24ft motorhome and a tow dollie to pull our Ford Flex behind it. This is not a permanent solution and would need to be upgraded for Rhonda be able to travel with me on a more consistent basis. Mechanically, it is in great condition. We had to make several updates to make it roadworthy. This motorhome is now in very good condition and travels well. This made it possible for me to go and stay for several weeks assisting Pastor Eeric Tharp at Trident Baptist Church in Goose Creek (Charleston), SC. On October 18 I arrived in Beaver Falls, Pennsylvania to be with my long-time friend, Pastor Ken Manypenny and Mayfield Bible Baptist Church for a Setting Sail for Church Growth Conference. In the last year and a half Pastor Manypenny lost his wife, Sharri, to a long term illness and then last winter he fell off a ladder and destroyed his shoulder. He was out of the pulpit for several months and has had a very long road to recovery. The Setting Sail for Church Growth Conference was a practical opportunity to train Sunday School teachers, Bus Workers and Children’s Church workers. We conducted training classes on Friday evening, and all day on Saturday. We had a very good attendance from the members of Mayfield Bible Baptist Church and 3 other churches sending workers. Pastor Manypenny was greatly encouraged and testified that the meeting was a real help to the ministry there. It was a joy to see Pastor Manypenny’s daughter, Becky Leonard, at the meeting. Becky serves with her husband, Daniel Leonard, who is the assistant pastor for his dad, Pastor Larry Leonard at Park Avenue Baptist Church in Washington, Pennsylvania. Becky has been a close friend to my children since they were teenagers. I am truly thankful for PKs (Preachers Kids) who serve the Lord in full-time ministry. They truly are a testimony to their personal love for the Lord and the consistency of their parents walk with God. 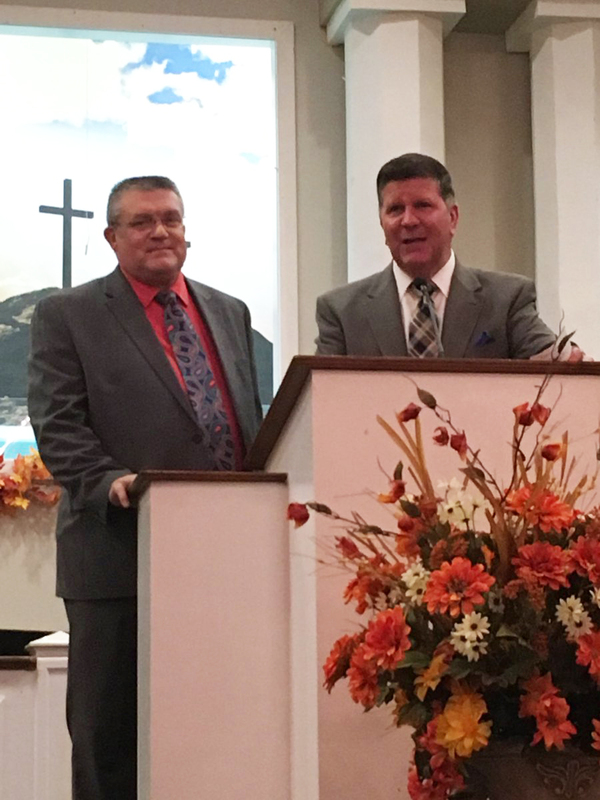 On Wednesday, October 24, I travelled to Kensington, Ohio to be with Pastor Chester Miller and the Victory Baptist Church. He is a faithful pastor with 40 years of ministry experience. I preached my first meeting for him 20 years ago. He and 2 of his men attended the Setting Sail for Church Growth Conference in Beaver Falls. 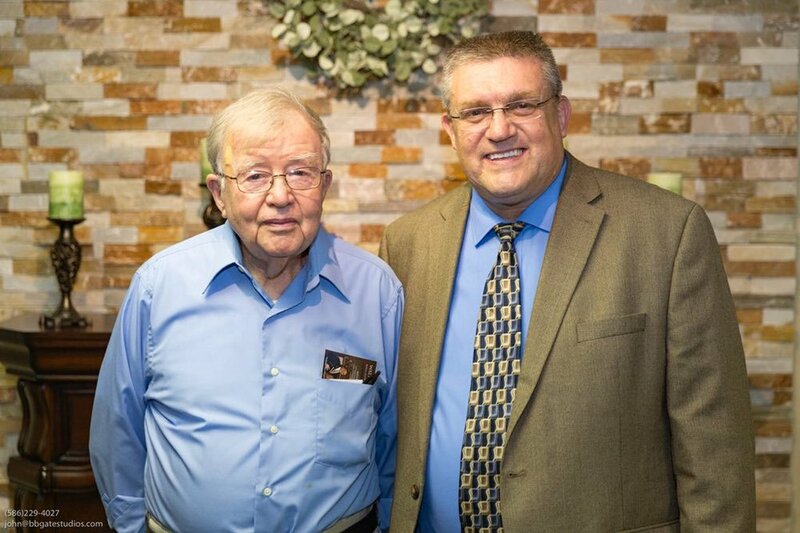 Pastor Miller has served mostly in rural churches and has been a wonderful example of a faithful man of God. Rhonda and I travelled to Morley, Michigan to be with Pastor Steve Finn and the First Baptist Church. On Saturday morning I conducted a Bus Workers training meeting and then went soulwinning in the area. It is refreshing to see churches who still run buses and actually GO soulwinning. We have a great day! 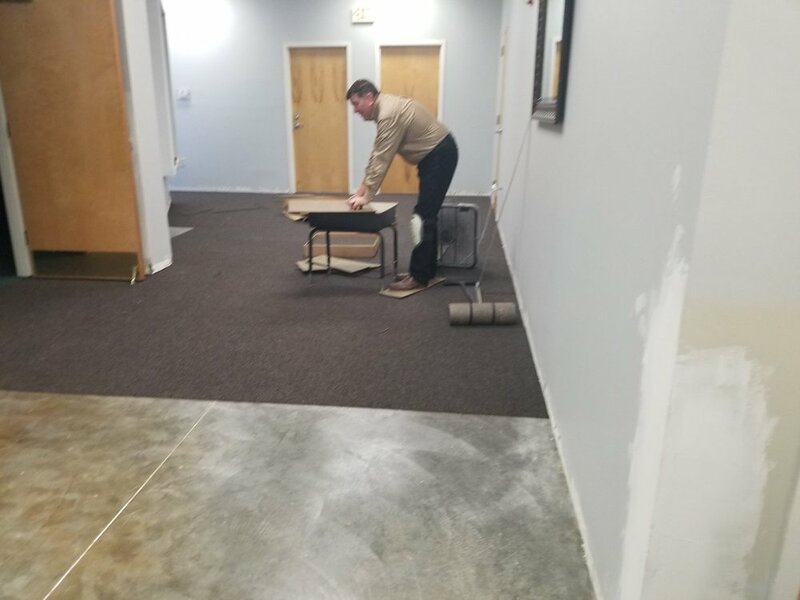 That evening I spend 2 ½ hours with Pastor Finn, teaching him about “Training Timothy’s.” It is vital that every pastor, and every spiritual leader, devote much of their time training others to serve with us in the ministry and to continue the ministry when we are gone. It is a joy to be with pastors with years of experience who still desire to learn more and be better equipped to do the work of the ministry. I am so thankful for those that invested in me as a young preacher. On Sunday, October 28, First Baptist Church held their “Old Fashioned Sunday.” It was a great time of fun and fellowship. We had a great crowd. I experienced great liberty in preaching and the altars were full during the invitations. The church where we are members, Faith Baptist Church in Warren, Michigan, held a “Trunk-or-Treat” community outreach. I was able to present the Gospel seven times that evening to families who brought their kids to see the “Gospel Magic” program. Praise the Lord for these opportunities to get the Gospel to those that would not normally come to church. On Sunday evening, November 4, Faith Baptist Church had a special emphasis on children in the evening service. During that service my Dad, Evangelist Carl Brandenburg, presented a 30 minute “Magic with a Message” program. It was a real treat for me and our family to watch Dad do what he has done since 1968, present the truths of Scripture with the art of illusions. 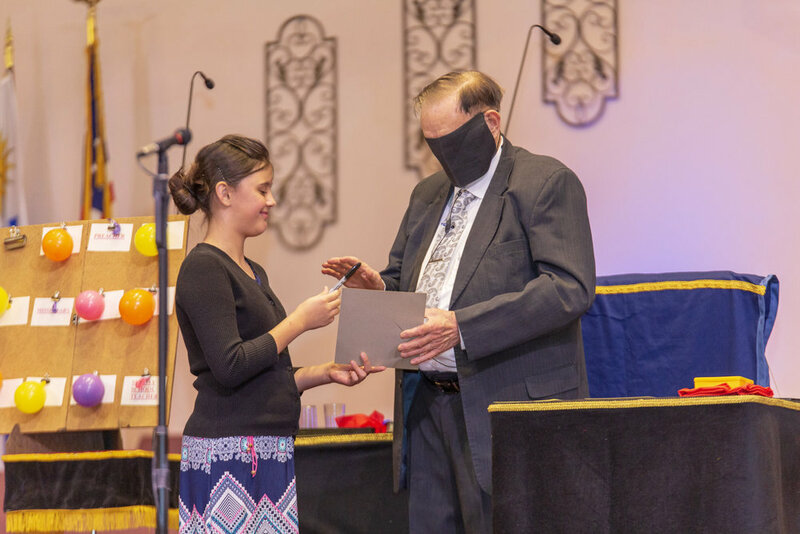 Dad has been a magician for over 70 years and has used his ability to preach the Bible since 1968. 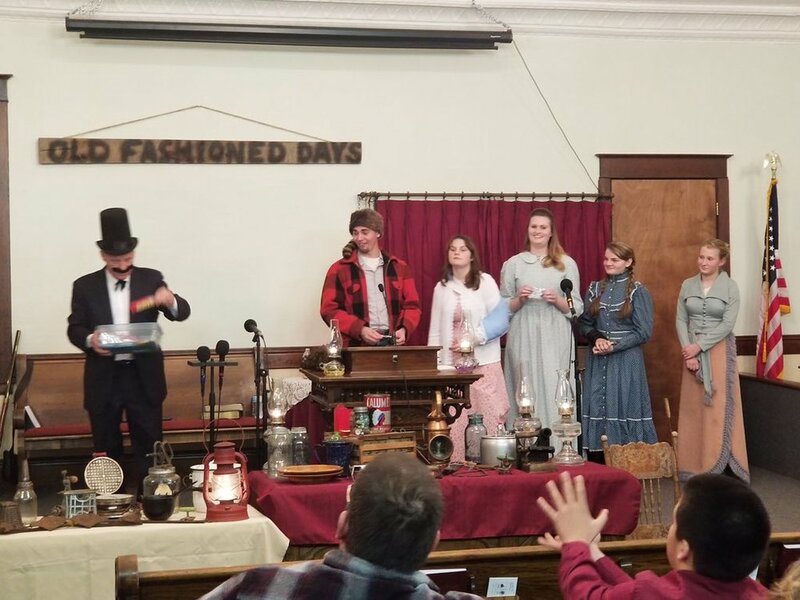 Beginning with Good News Clubs and then starting the Children’s church at Troy Baptist Temple in Troy, Ohio, to then travelling to churches as an evangelist to hundreds of churches to present the Gospel. Here is a link to the video of that service. https://youtu.be/JdklU6L3c4M I was saved in 1972 during one of Dad’s children’s revivals, which he called “Kids Krusades.” Here is a link to the page on my website under the heading “Heroes of My Faith” where I talk about my parents and their ministry. https://www.pulpitaflame.com/carl-brandenburg I am so thankful for my spiritual heritage and the ministry and example of my parents. On Wednesday I was able to fill the pulpit for Pastor Tracey Herald at Emmanuel Missionary Baptist Church while he was out of town. I am thankful for good churches and pastors around the country who serve the Lord and present to Gospel to their communities. It was my honor and joy to speak for the Veteran’s Day services at Parker Memorial Baptist Church in Lansing, Michigan for my good friend, Pastor Jim Green. Brother Green became Senior last summer, following his father’s 61 years as pastor of this great church. There was a wonderful turnout with many visitors, including 20 veterans, who we honored in the morning service. I have served for several years as a volunteer chaplain with the United States Service Command of America, as does Pastor Green. He asked me to preach in uniform for the morning service. We are working to edit the video of that service and will have it online soon. Parker Memorial Baptist Church is growing and continuing its legacy of being a lighthouse for God in Michigan’s capitol city.